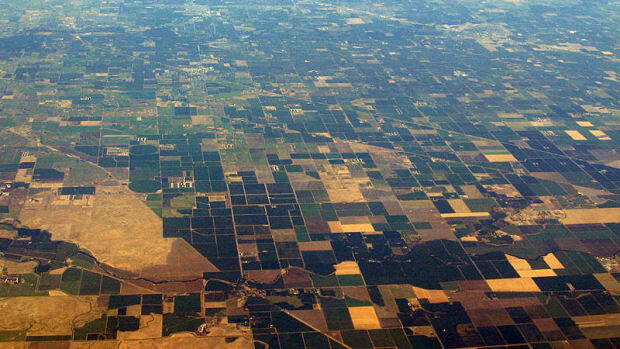 The announcement prompted the California State Water Resources Control Board to postpone its vote on a proposal restricting agricultural water use in the Delta. 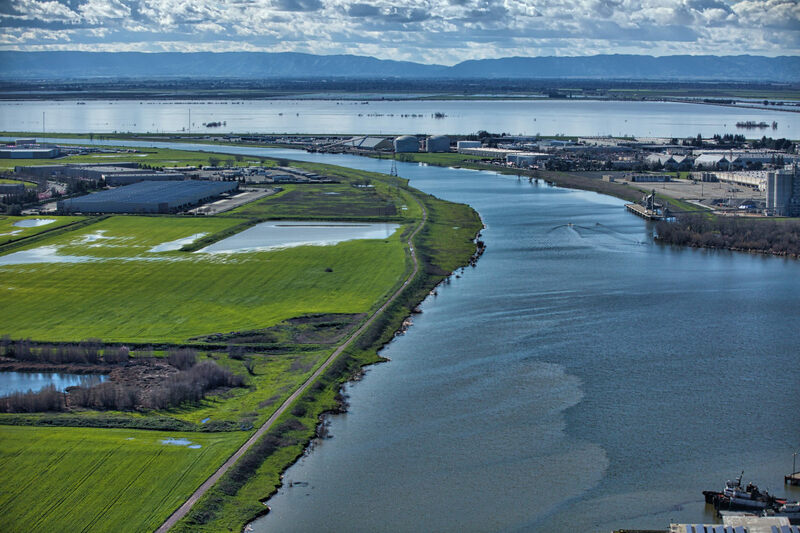 A view of the Sacramento-San Joaquin Delta from Sacramento. 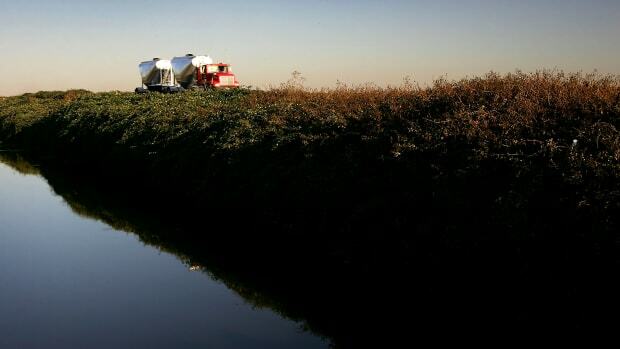 The Trump administration is siding with farmers in the fight against regulation of the Sacramento-San Joaquin Delta, according to a memo first reported by the Sacramento Bee. Secretary of the Interior Ryan Zinke sent a memo last week calling for "maximizing water supply deliveries" in the Delta region&apos;s irrigation districts, pushing back against state regulators&apos; proposed conservation plan and signaling support for farmers protesting Monday in the capitol. 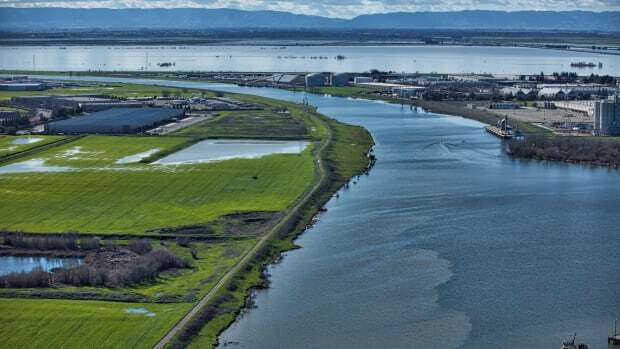 The board&apos;s proposal would limit water use in three tributaries to the San Joaquin River, which joins with the Sacramento River to feed into the delta, a key California water source and home to endangered species such as the Chinook salmon. There are no legal requirements keeping farmers from draining the Stanislaus, Tuolumne, and Merced Rivers, and, up to this point, the board&apos;s oversight has focused on water users downstream: pumping operations in the delta itself. "From a regulatory standpoint, this is fairly groundbreaking," says Diane Riddle, assistant deputy director of the Division of Water Rights at the State Water Board. Currently, 80 percent of the Tuolumne and Merced rivers&apos; water is diverted for agriculture and other purposes. The new proposal seeks to limit that, requiring 40 percent of the rivers&apos; flow to remain in the watershed, especially during the salmon&apos;s juvenile nursery period, February through June. Zinke, along with the United States Bureau of Reclamation, has also threatened legal action if the board proceeds with the new regulation, the Bee reports. 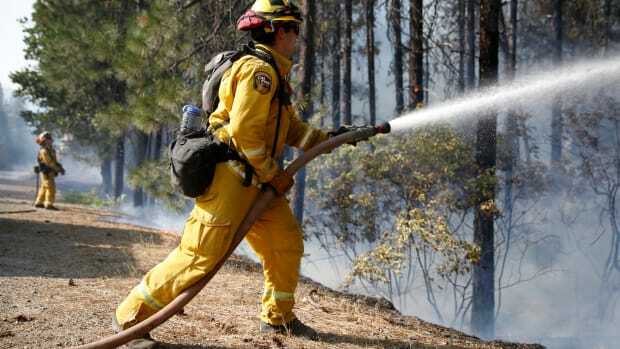 "The State of California is now proposing additional unacceptable restrictions that further reduce the Department&apos;s ability to deliver water to Federal contractors," Zinke wrote in the memo. The water board has since postponed its decision, which was set for the meeting on Tuesday. Toxic chemicals are sweeping across our nation's most important agricultural region and officials are using time-tested tactics not to find solutions, but to make the problem seem small and localized. A recent funding decision has put the ambitious water project on firmer financial ground, but California Water Fix must still clear numerous regulatory and legal hurdles.